By Sr. J. Miriam Blackwell, M.S.B.T. In recent years, Catholics have become legitimately concerned with developing the role of lay men and women in the overall apostolate of the Church. There has been equal legitimate concern to see that both lay and priestly renewal are constructively channeled to support rather than conflict with the Church’s divine mission. In an article rich in both ecclesial and Trinitarian overtones, Sr. J. Miriam Blackwell describes and analyzes the pioneer work of Thomas Augustine Judge, a priest who contributed much to the delineation of the nature of the lay apostolate. Although Fr. Judge worked in the early twentieth century, the author points out, his ideas are important to a thorough understanding of the Church in any age. In addition, Father Judge had a vision of the whole Church as servant and sacrament of the One who declared: “I am in your midst as the one who serves you.” (13) Those who are joined to Christ must be servants; there is no compromising the words: “As I have done, so you must do.” (14) Judge saw this servant aspect as informing both priestly and lay responsibility. He saw that the mandate to make disciples is inextricably bound to the mandate of the one mission of Christ shared with the apostles and the whole Church. Ever and anew, the mystery of Christ in the saving power of his divinity and the intimacy of his humanity becomes available to men through the mission and ministry of his Church. It is quite probable that, in the period from Trent to Vatican Council II, many Catholics believed that the Church can be divided territorially into the Church proper and mission lands—and further, that the “universal church” is the “church of the hierarchy.” (17) The overall result was the popularizing of ecclesial mission into ecclesial missions, implemented in the practical order almost entirely in concentration on distant missions and the baptizing of infidels to save their souls. In such a mission theory, the possibility that the really faithless man, baptized or pagan, might be in one’s own neighborhood was easily overlooked. Likewise, such a popular theology made little allowance for adult lay responsibility in the mission of the church, and had the natural side-effect of a totally clericalized ministry. (18) The laity tended to become subjects of the ministry of the local parish and divorce between mission and ministry followed. The former, viewed as a function of the church’s hierarchy, came to be thought of as an activity of the church beyond itself. By contrast, ministry was confined to church members and was a function of the clergy, primarily the pastor, toward the recipients of ministry, the laity. When Thomas Judge was ordained a priest in 1899, this narrow view of ecclesial ministry—the ordained toward the non-ordained—was the prevailing view in the American Catholic Church. Yet an event was taking shape that was about to modify ecclesial ministry: the population of the United States was escalating sharply, not by natural means, but through a combination of circumstances now described in the history books as “mass immigration.” In the early twentieth century, the years of Judge’s priesthood, the Church faced the task of absorbing thousands of immigrants from the Catholic countries of eastern and southern Europe. Their coming challenged the effectiveness of the Church’s pastoral ministry and changed the texture of American Catholicism. During these years, too, and largely as a result of Catholic immigrants, and the erosion of Catholic faith among the uninstructed, the indifferent, and those Americanized Catholics who reacted to the apparent foreignness and paternalism of the Church. After a priestly experience of ten years, and the daily struggle with these issues as they touched the lives of the people to whom he ministered, Father Judge became convinced that the priest by himself was insufficient to meet the pastoral needs of the day. He realized that the latent but undirected power for good in the laity must be tapped. Experience was not the only source of his conviction. Judge’s ecclesiology caused him to have an unusual appreciation for the constitutive place of the layman in the mission of the Church. Moreover, his entire ministry was spent in an effort to bring men to a realization that the mission of the Incarnate Word reveals God as a Trinity of personal, saving-presence for man. Inasmuch as Judge was not a professional theologian, his writings do not present a carefully constructed theology of the Trinity, or of ecclesial mission and ministry neatly brought together in one place. Rather, the content of his ecclesiology must be gleaned from records which span the years of his priestly ministry and some, indeed, which date from before his ordination. (19) This content is, simultaneously, Trinitarian and ecclesial, and for this reason, it is difficult to assign a chronology to Judge’s thought. To the extent that the Church mediated his experience of the Trinity, however, it may be suggested that Father Judge began with the Church. But Father Judge was careful to make two things understood: the gift of the Spirit is both personal and communal. God does not love man as an amorphous mass: each one is loved personally and individually and is given the grace to respond in like manner. However, the communication of the Spirit is also for the sake of communion—for building up the whole Body, so that God’s love does not leave men a collection of isolated individuals but draws them into a people he has made his own. (27) It was with this in mind that Judge told the laity: “You are called to minister to Christian revelation.” (28) This revelation rests on the testimony of the Incarnate Word: God is one, but He is one as Father, Son and Spirit, and His eternal posture toward man is love and forgiveness. To Judge, it was not at all accidental that Christ in giving the missionary command to his disciples, linked it explicitly to the mission ad extra of the triune God: “Full authority has been given to me both in heaven and on earth: go, therefore, and make disciples of all the nations. Baptize them in the name of the Father and of the Son, and of the Holy Spirit.” (29) Understanding the relationship between mission and Trinity in this way led Judge to see the Church in a much richer definition than as a society of believers; for him, it was the historical continuation of the mission of God, that is, the life of the Blessed Trinity actually given to humanity in a sacramental but real way. The purpose of Church mission also took on a more sublime meaning: to make disciples who are consecrated to the triune God and share in His inner life. Centering mission in the very heart of the Trinity and the Incarnation, as Father Judge did, necessarily brought him up against the universality of call, with a concomitant responsibility for mission. But mission is mediated in time. As an historical entity, the Church must have a sociological aspect that demands expression, for man is by nature an institutionalizing creature. Since the Church is a divine/human reality whose pneumatical character informs its visible expression, Judge expected the apostolic gifts of the Spirit to grace the Church in the laity as well as the clergy. Although his perspective of ministry derived from his understanding of the mystery of the Church, this was in Father Judge not so much a theological reference point as an existential reality. He could hardly overlook two offices essential to the nature of the Church: priest and layman. In Judge’s era, the office of the priest was very much emphasized, and that of the layman suppressed. Acute awareness of this condition, together with a Trinitarian ecclesiology and Scriptural orientation, are the historical-theological background to Father Judge’s assertion: “As a priest of God, I wanted to show the power of the laity.” (30) This being the case, he did not deliberately highlight those distinctions between priest and layman of which the general laity were already sufficiently aware. Rather, while Father Judge understood his priestly identity in a uniquely sacramental way, his understanding was never separated from the existential reality of a lived relationship. While Judge’s ecclesiology certainly admitted of distinctions in ministry, he understood apostolic love as the unifying quality of ecclesial ministry. Christ’s priesthood is shared, not divided. On this basis, Judge said very definitely to a group of laity: “There is no reason why you cannot come into our priesthood.” (34) Herein, he was referring to the fundamental note of apostleship that is the patrimony of both priest and layman. In this connection, Judge had no difficulty aligning himself with the layman in the Church’s apostolate that comes to each in the way designed by the Spirit. 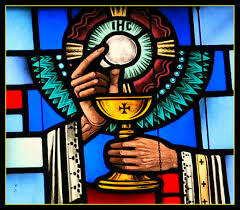 Concerning the Eucharist, he said: “While the real, true substantial presence of the Lord in the Holy Eucharist is the greatest of all facts in this world, there is another fact . . . and this is personal to you: that you are a party to the presence of our Lord in the Holy Eucharist.” (36) If as priest, Judge confected the eucharist, the laity completed the picture by their participation in faith. Together, they built up the community of apostolic charity. Seeing the layman as having a vantage point in the world wherein he reflected the symbols of Christian love, mercy and forgiveness, Judge regarded the priest as the explicit sign of that forgiveness conferred in the sacramental rite. As co-ministers of reconciliation, priest and layman harmonized their apostolic work in one ecclesial mission and ministry, designed in its transcendental quality by the will of God, not of man. At the same time, Judge regarded these ministries as distinct forms of vocational call and response, affirmed by the authority of the Church. In teaching that the layman is the church-in-the-world, Judge meant that the proper arena of lay apostolic spirituality is the temporal sphere. He related priestly ministry primarily to the faith community in the sense that Eucharist and absolution from sin are meant to build up the Church, the community of believers who, vivified by the Spirit, experience the life giving word and event of the risen Lord. Expressing this belief another way, Father Judge maintained that the Church could give no higher gift to its members than the apostolic spirit. He understood this grace as integrating contemplative and active vocations, and priestly and lay ministries, in one apostolic spirituality. Above all else, Judge believed, an apostle is concerned with God’s love for men. (45) To remind his lay associates of this, Father Judge chose the name Cenacle to signify their spirit and missionary endeavors. It was in this chamber, he reminded them, that the mystery of the Trinity was explicitly revealed in the tidings brought to Mary; there, too, the apostolic work of the Spirit of Love began its specifically Christian unfolding; in the Cenacle the Spirit of Father and Son was given as the first gift to those who believe, and as the pledge of the apostolicity of the whole Church. From the upper room the apostles went out, filled with the Spirit of God, and for Judge as a priestly apostle it was especially meaningful to teach his followers that the Cenacle is the image of the Church. There, Jesus gathered his apostles in the first eucharistic assembly, creating the Church, and foreshadowing the eschatological meal in the kingdom of the Father. Moreover, Father Judge told the Cenacle members unconditionally: “You were in the Cenacle when the Holy Ghost came.” (47) Indeed, they were there, for they are the Church. Thus, he understood the mystery of the trans-historical Christ and the constant life of the Spirit leading the Church forth in each succeeding era to a fuller grasp of the reality of itself as the life of the Blessed Trinity sacramentally present to the world. In early correspondence with members of the original Cenacle Lay Apostolate formed in Brooklyn in 1909, Father Judge defined devotion to the Trinity as the first lesson for any new member. Then, as was his custom in many letters, Judge encouraged his associates to look up the Scriptural passage contained in his letter and to meditate upon it. Often he assisted their perception by writing out some section of the passage he deemed most pertinent for apostles. In this case, he chose: “Be ye kind to one another, merciful, forgiving one another, even as God hath forgiven you in Christ.” (48) Thus, Thomas Judge joined together once more those mysteries that made up his spirituality and motivated his apostolic life: Trinity, Incarnation, Church—all made fruitful in one’s life by the charity that is born of God’s Spirit in the continuing redemptive activity of Christ. This charity of God was the overriding principle of Father Judge’s life. By word and example, he taught that forgiveness is the mark of the Christian. No man can be authentically associated with the Church of Christ who is unwilling to seek forgiveness and to bestow it. Beyond this, no man would have the power to forgive were it not that he, with all men, is the beneficiary of the forgiveness of God. Moreover, to Judge, the ability to forgive was associated with the ability to be compassionate, or to suffer with and for another. He reasoned that, if the Church continues the saving, forgiving deed of the Incarnate Word, a share in that mission will demand an apostolate like that of Christ the suffering servant, obedient unto death. Believing as he did that the life of the Church is effective only when lived—by each man and by all men in communion—Judge was deeply committed to every apostolic endeavor that would enrich the Church as the community of redeemed and redeeming men. Yet, Father Judge knew from experience that, in the practical order, the influence and acceptance of the Church depended upon the vitality and authentic witness of Christian living. Hence, his ultimate goal was that every Catholic be an apostle. Judge did not expect to see this achieved in his own lifetime, of course, but he did intend to begin a serious personal renewal in apostolic witnessing, to show forth the life of the Trinity in the lives of men. Judge believed with a profound simplicity that the life of the triune God expressed in the Church cannot be a kind of secondary mode of existence for the Trinity, but is really the same expression of love, ad extra, as operates within the life of God Himself. Taken with all its seriousness and implications for the life of grace in men, this is a bold theology. Later, Karl Rahner was to explain it with theological precision, saying that the economic Trinity is the immanent Trinity. (54) Thomas Judge used a more devotional terminology but his meaning is the same: whatever the triune God does in the salvific order for the sake of man is somehow intimately related to the way God is in himself. Judge called it simply: divine charity. (55) This is not something different from apostolic charity, but is, in fact, its source and integrity in the same way that God’s self-revelation is the source and integrity of man’s faith. Here, Judge’s devotion to the Holy Spirit is intimately related to his love for the Church because he perceived with an uncommon intensity that the one and the same Spirit is the bond of fellowship within the Trinitarian life itself, as He is the bond of fellowship within the communitarian life of the Church. Always, however, Father Judge explained to his associates that it was a matter of God’s will and God’s power operating in the Church, operating through them. Therefore, no spiritual complacency, or ethical elitism, should be found among them. (57) Judge insisted that every human being is “the living image of the Blessed Trinity,” and is to be honored on that account. (58) The apostolic task was to bring this image to conscious awareness and acceptance. Judge insisted further that this could not be done without the gentle power of divine charity substantially present as the Holy Spirit. Apostles, then, were to become men and women of prayer and charity, pleading with the Spirit for his grace, not that they might dominate others, but that they might be their servants for the sake of the Kingdom. In summary, Thomas Augustine Judge was ordained a priest at the dawn of the twentieth century when a static vision of mission and ministry prevailed in the American Catholic Church. Mission was understood largely in a geographical/jurisdictional way while ministry was restricted to the narrow concept of the ordained toward the non-ordained. At the same time, the mystery of the Trinity was strongly professed, but its living expression was too often de-personalized. With his understanding of ecclesial mission as rooted in the Triune God who reveals himself, Father Judge developed a dynamic consciousness of the totality of Church apostolate, and the reciprocity existing between the ministry of the ordained and the ministry of the baptized. Consequently, he set about fostering the lay apostolate as proper to the nature of the Church. Judge taught lay apostles that the charity of Trinitarian life personally present in the Man-Jesus is the paradigm of the way a man is to be—self-giving in a life of personal service to others for the love of the Father and the salvation of men. He reminded the laity that the command “Do this in memory of me” was situated within the mandate of pure service: “As I have done, so you must do.” Thus he provided the Eucharistic foundation for the two-fold reality that membership in Christ’s Body demands: love and service. Moreover, he insisted that this apostolic charity can only be lived through the grace of the Holy Spirit, and it is the Spirit who gives His life to the Church, empowering priest and layman to be mutual apostles of reconciliation. In all of this he foreshadowed the extensive work of the Second Vatican Council, especially the Decree on the Apostolate of the Laity and the Decree on Priestly Formation, which recommends that seminarians be “trained with exactness to ignite and fan the apostolic activity of laymen.” (59) Indeed, Thomas Judge anticipated that time would change the cultural forms that ministry might take. But he did not think that time could alter the essential nature and purpose of Church ministry. The Spirit of God, Judge believed, will lead the Church through all the vagaries of history to the goal established by the ministry of the Word Incarnate Himself: life in the Father, Son and Spirit forever. John Henry Newman, Essays Critical and Historical, new ed., vol. II (London: Longmans, Green, and Company, 1891-1897), p. 250. The Cenacle Lay Apostolate was founded on April 11, 1909 in Brooklyn, N.Y. The name has since been changed to Missionary Cenacle Apostolate with the headquarters in Philadelphia, Pa.
Thomas Augustine Judge, Unpublished Letters, Papers and Spiritual Writings. (Philadelphia Archives of the Missionary Servants of the Most Blessed Trinity, No. 00757 (Jan. 15, 1923).). All references to Judge’s writings will be from this original source, cited A-MSBT, unless noted. As cited by Theodore A. Opdenaker, Thomas Augustine Judge: A Pioneer of the Lay Apostolate in American Ecclesiastical Review, CXLIX (Nov. 1963) 293-94. Hereafter, this periodical will be cited AER. A-MSBT Nos. 08660-08661 (1900); 03684 (Jan. 21, 1913); 9438 (Nov. 30, 1913); 12,528 (Feb. 9, 1921). A-MSBT Nos. 8478-8479 (May 31, 1924). A-MSBT Nos. 00722 (1922) and 4603 (Feb. 4, 1918); see also F.X. Durrwell, Le Mystere Pascal Source de L’Apostolate (Paris: Les Editions Ouvrieres, 1970), p. 78. A-MSBT Nos. 003658-003659 (c. 1900); 008496 (June 29, 1927); 3456 (c. 1915); 008681 (n.d.); see also Johannes Remmers, Apostolic Succession: An Attribute of the Whole Church in Concilium, Vol. 34, pp. 38-40. Cf. A-MSBT Nos. 200-215 (1912); 12315 (1911-1915); Romans 12-14. A-MSBT No. 01838 (November 15, 1931). Cf. Richard J. Dillon, Ministry: Stewardship of Tradition in Cath. Theol. Soc. of America Proc. (1969), 10-62; K.E. Kirk, ed., The Apostolic Ministry (London: Hodder and Stoughton, 1947). Killiam McDonnell, Ways of Validating Ministry in Journal of Ecumenical Studies, VII (1970), 212. It is correct that this jurisdiction is the right of the Holy See as Canon 1350 states, but it must be viewed as a unifying role with the missionary responsibility of the local churches as the immediate ground of mission. Cf. A.M. Henry, O.P., A Mission Theology (Notre Dame: Fides Pubs. 1962), 129-42. Cf. Yves Congar, O.P., Lay People in the Church (Westminster, Md. : The Newman Press, 1965), 26. A-MSBT No. 003319 (June 1913). A-MSBT Nos. 003956 (n.d.); 12,255 (Jan. 10, 1932). A-MSBT Nos. 00214 (1912); 11,611 (Dec. 1928). A-MSBT No. 01831 (Nov. 15, 1931). A-MSBT 3998 (April 27, 1913). A-MSBT No. 003999 (April 27, 1913). A-MSBT No. 8501 (Mar. 11, 1928); A-MSBT Nos. 00241-242 (April 18, 1913). Heb. 5:1-6; A-MSBT No. 00289 (Dec. 7, 1913). “I feel fear for what I must be to you, and I am consoled by what I am with you. To you I must be a bishop and with you I am a Christian. The former I have from the office I hold and the latter I have from grace. One is a source of danger and the other is a source of salvation.” Sermo 340, Patrologia Latina, 38:1483, hereafter cited PL. Cf. A-MSBT Nos. 00052-00053 (Feb. 2, 1911); 12,103 (Jan. 21, 1913) inter alia. A-MSBT No. 8501 (March 11, 1928). Cf. A-MSBT Nos. 10,659 (n.d.); 003881 (c. 1895-99); 10,639 (1909); 12,351 (c. 1923); 12,332-12,333 (n.d.); 005669 (c. July 1, 1924); 12901 (June 1, 1931); 01822 (Oct. 1931). A-MSBT No. 12,351 (c. 1925). A-MSBT No. 3684 (Jan. 21, 1913). A-MSBT Nos. 00241-00242 (April 18, 1913). Thomas A. Judge, C.M., A Spiritual Militia, in AER, LXI (Sept. 1919) 278. It was on account of ecclesial ministry as a whole that Judge registered the lay apostolate as “almost priestly” in character, by which he meant that laymen can be instruments of reconciliation. Judge, op. cit., p. 282. Judge said also, “The Church of God, that comes before everything else in the world; that is the supreme mission of our life.” A-MSBT No. 08670 (April 17, 1921). Cf. A-MSBT No. 12,158 (Aug. 1, 1926). A-MSBT Nos. 00992 (1897); 005235 (Sep. 27, 1922); 10,722 (Mar. 31, 1924); 1844 (Nov. 15, 1931). A-MSBT No. 00826 (Oct. 1923). A-MSBT Nos. 12,416 (Aug. 26, 1930); 13,930 (1924). Cf. A-MSBT Nos. 009400 (1900-1909); 10,721-10,723 (Mar. 3, 1924); 00206-00215 (1912); 008669 (1921); 005249 (May 13, 1922); 005331-005332 (Mar. 27, 1923). A-MSBT No. 005407 (July 22, 1923). A-MSBT No. 12,416 (Aug. 26, 1930). A-MSBT No. 8478 (May 31, 1924). A-MSBT No. 08669 (Apr. 17, 1921). Cf. Tractatus XXXII, No. 8, PL, 35:1646. Le Fondement Theologique des Missions (Paris: Ed. du Seuil, 1946), p. 43. Remarks on the Dogmatic Treatise ‘De Trinitate’ in Theological Investigations, vol. IV, p. 87. Cf. A-MSBT No. 8442 (May 11, 1922); No. 05623 (June 3, 1924). A-MSBT No. 04111 (Sep. 23, 1921). A-MSBT No. 9438 (Nov. 30, 1913). A-MSBT No. 04112 (Sep. 23, 1921). Acta Apostolicae Sedis, 58 (1966), No. 20, p. 726.